Troubles or storms of life come to all. 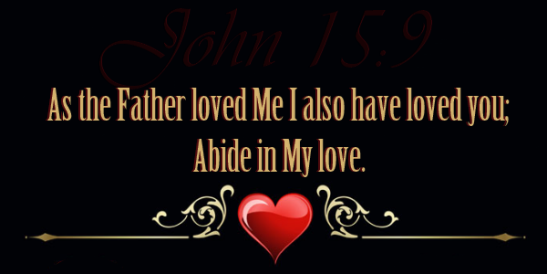 Jesus did not tell us this so that we would be troubled by them. 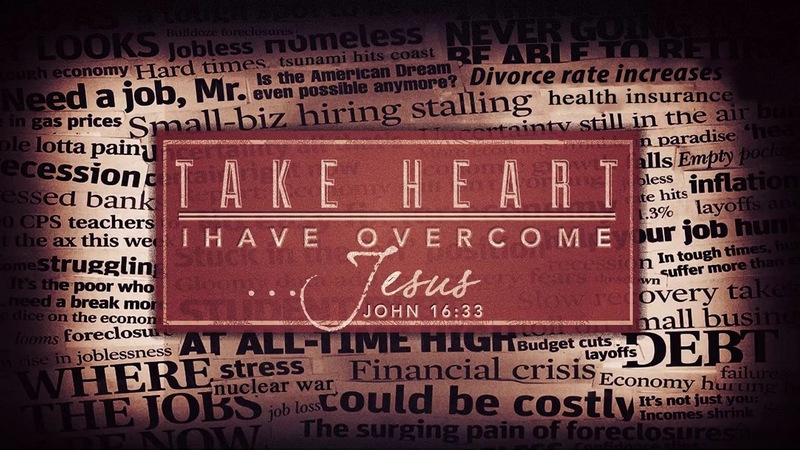 He has already overcome the world’s troubles you will face. Jesus taught us that if you come to Him and hear what He says but do not do what He says, you will be like a man who built a house on sand. Storms would come and when they do the house would fall. But if you come to Him and hear what He says and you do what He has said, you will be like a man who dug deep and laid a foundation on the rock. When the storms come the house would not only stand, it would not be shaken. 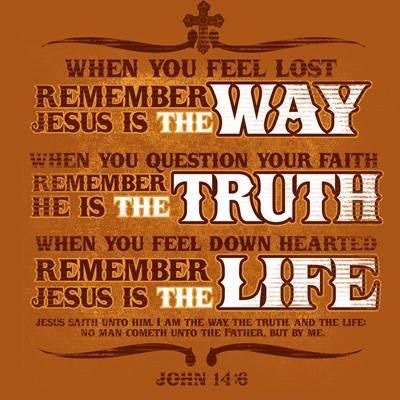 In this fallen world you will face trouble or storms of life, but the person who has come to Jesus, heard what He has said, and is a doer of the Word and not just a hearer of the Word, they have built on the rock and are walking by faith not by sight. It is not up to God if we overcome for He has already provided victory for us, it is up to us. Spend time with the Lord, listen to what He has said in His Word, and be a doer of the Word. If you do, you will walk in perfect peace, and you will not be defeated. 2. Do not speak evil of other believers for they are a part of the body. If we slander and gossip about other believers, we are speaking harm to ourselves. We are to walk in the love of God toward one another therefore not speaking evil of others. 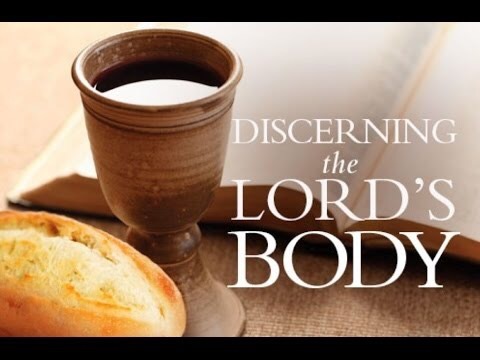 So if we want to walk in health and healing we must learn to discern the Lord’s body. 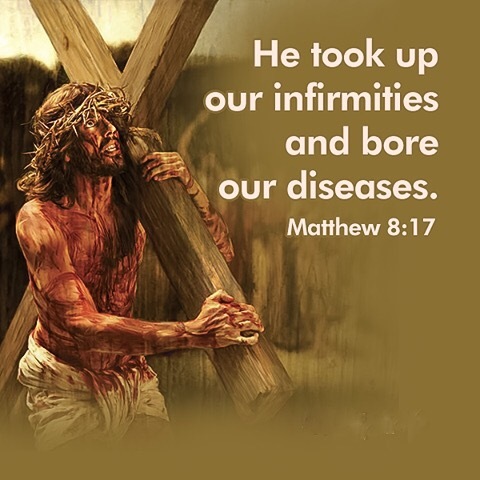 When we do we will experience the benefit of what Jesus purchased for us through the blood He shed, and through the body that He gave for us as He not only bore our sins, but He bore our sickness, disease, pain and suffering also. All who are in Christ should change their focus in life. We should get our focus off of the natural world and get focused on the realm of the spirit, putting our focus on God and the things of the spirit. Your focus in life will determine the outcome of how you live. Looking to God’s Word helps us change this view of life. Doing so will help us to see things from God’s perspective. The key to getting this new view on life is to just accept God’s Word for what is says and don’t try to reason it away with your mind. God’s Word is truth. The Bible does not say God’s Word is true, but truth. You may see things in the natural that are true, but God’s truth can change what is true in the natural if you just don’t question the Word of God. 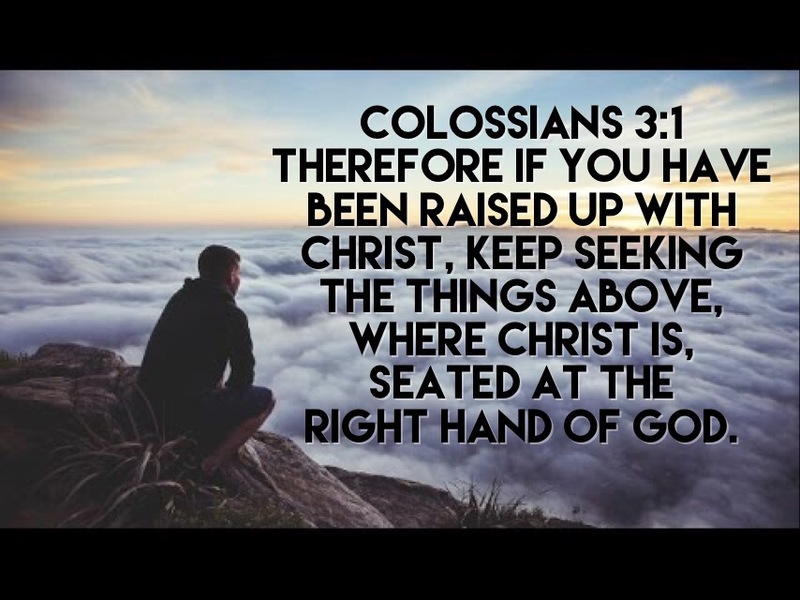 When you come to God’s Word you should say, “If God’s Word says it, I believe it, and that settles it.” So look to the Word and start seeing things from your new position in Christ, seated with Him at the right hand of God.